GACE Practice - Read This Before Starting Test Prep! The following will help you direct your GACE test preparation in order to pass. Make sure the GACE practice tests and study guides you select approach the exam with the same paradigm as the official developers. The testing information that follows gives you a framework that’ll help you choose the correct answers on the real exam and get a passing GACE score. The Georgia Assessments for the Certification of Educators (GACE) was devised to determine if new Georgia public school educators have the knowledge and skills needed to perform their duties. The Georgia Professional Standards Commission (PSC) has hired the Evaluation Systems group of Pearson to administer and develop GACE tests and must adhere to the “Georgia Performance Standards for the P-12 Student Curriculum.” Test questions are developed through consultation with Georgia educators, and other education professionals. GACE Test Prep For Georgia Teacher Certification – What Exams Are Offered? The GACE testing program offers several examinations: Basic Skills Assessment, Content Assessment, Professional Pedagogy Assessment, Educational Leadership Assessment, and Paraprofessional Assessment. The Basic Skills Assessment is comprised of three tests: reading, mathematics, and writing. Reading and Mathematics test consist of selected response while writing involves constructed response questions. 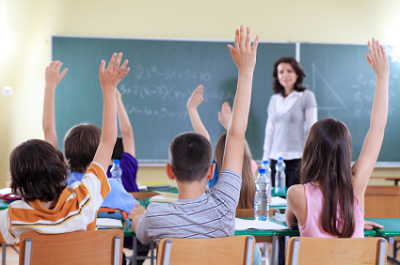 The Content Assessment tests qualifications for the middle grades in a variety of subjects. The Educational Leadership Assessment is for those seeking leadership roles in the Georgia education system. Paraprofessionals are assessed on their skills requiring that no child be left behind. GACE registration can be arranged by internet, U.S. mail, or telephone. It is possible to pay for the test either by VISA or MasterCard, or by check or money order. Cash will not be accepted. When registering for a GACE exam you will have to provide your social security number as this is how test results are transmitted. The cost is low, the benefits are high! The GACE tests are offered in both paper based and computer formats. Test sites are available throughout Georgia. The basic test fees range from $25 to $70 however there are a number of additional fees depending on whether the exams involved are paper-based, computer-based, late or emergency registrations. On the day of the examination, wear comfortable clothing and soft soled shoes to help maintain a quiet environment. Water bottles are permitted provided they are clear and do not have a label. The time allotted for each GACE test varies depending on which assessment and the number of subjects that are being covered. All teacher certification assessments are designed in such a way that all the component tests can be completed within a four hour period, three hours for Paraprofessional test-takers. GACE tests usually contain 90 to 150 questions, the majority of which are multiple choice but some include constructed response questions. The selected response questions contain four possible answers, and the essay questions typically involve short open ended responses. In order to pass GACE testing you must receive a minimum of 220 on a scale from 100 to 300. The score report is available on the internet on the score report date published in GACE test dates. For those taking the computer based tests, an unofficial score will be available at the end of the exam. The GACE results will be transmitted directly to GaPSC and the education preparation provider. Candidates are scored against an established standard rather than against each other. Be prepared, stay focused on your ultimate goal of a successful career as a certified educators, and soon you will be able to teach in Georgia. -It’s everything I learned coaching and tutoring over 3,367 pass the GACE test. To achieve a passing score on your Georgia Assessment For The Certification Of Educators, you must be able to answer the question: “What GACE test do I take?” Be sure you’re clear on exactly which GACE test you have to take. Confirm it with your college’s department of education, Georgia Professional Standards Commission or the school district you work for. Registration, paying the testing fees and choosing a test site comes after. What’s the first step you need to take to adequately prepare for the GACE exam and guarantee your Georgia teacher certification? If you’re overwhelmed by all there is to cover in your GACE practice tests, here’s a helpful exam content breakdown. I’ll ensure you know EXACTLY what to study for your specific exam. Once you learn the testing framework and test design for your specific assessment, you’ll known exactly what information you should prioritize and focus on in your review sessions. The #1 cause of failure in the Georgia Assessments for the Certification of Educators is due to studying the wrong content and not having a FOCUS in your review. Please note that percentages below represent how much each section or exam questions will make up for your overall test score. Basic Skills Test: This teaching exam is made up of three subtests, each of which are designed to assess your reading, mathematics, and writing skills. The first two subtests are comprised of selected-response questions (42 and 48 questions, respectively). The third test will assess your writing skills, and consists of 42 selected response questions and one constructed response. The selected responses count for 60% of your grade, while the constructed responses count for 40%. Professional Pedagogy Test: This Georgia teacher certification exam is comprised of two subtests. Be aware as you go through your GACE study guide, the exam breaks down as follows: Knowledge of student knowledge and learning (40%), student diversity (40%), the learning environment (20%), and encouraging communication in the classroom (20%). Both tests contain 60 multiple-choice questions and two constructed responses. Paraprofessional Exam: This standardized test for Georgia educators is designed to assess your knowledge of reading, writing, and mathematics. Students can expect to see 25 questions on reading (25%) 25 on writing (25%), 25 on mathematics (25%), and 25 on instructional support (25%; all are multiple-choice questions). Educational Leadership: This exam consists of two subtests. Allocate your time in your GACE test study guide to these distributions: Knowledge of implementing change within the workplace (20 questions), promoting a positive school culture (40 questions), and managing the organization (43 questions). Both tests consist of 60 multiple-choice questions and two constructed-response questions. Agricultural Education: This Georgia Assessment is comprised of two subtests. The first GACE test consists of 60 multiple-choice questions and two constructed responses, and will test your knowledge of agricultural business management and technology (80% of your test score). The second test consists of 60 multiple-choice questions and two constructed-responses, and will test your knowledge of animal, plant, and environmental sciences (16, 33, and 11 questions, respectively). Be sure your preparation guides are 100% up to date and cover this material thoroughly. Art: This test design consists of two sub-exams, both of which have 60 multiple-choice questions and two constructed responses. The first test will assess your knowledge of artistic skills (36 questions) and connections (24 questions), and the second test will cover aesthetic understanding (33 questions) as well as historical and cultural context (27 questions). Behavioral Science Exam: The Behavioral Science exam will test your knowledge with two sub-exams. Be mindful in your GACE test preparation that both sections are comprised of 60 multiple-choice questions and two constructed responses. The first of these two subtests will cover the content area of psychology (40 questions), while the second will review sociology (33 questions) and anthropology (7 questions). Biology Test: The framework consists of two subtests, both of which have 60 multiple-choice questions and two constructed responses. The first test will assess your knowledge of cell structure and processes (30 questions), as well as heredity and evolution (30 questions). The second test will review characteristics of organisms (24 questions), ecosystems (18 questions), and characteristics of science (18 questions). Get GACE practice test questions and review books that match the same level of difficulty. Business Education: This Georgia teacher content knowledge exam is made up of two subtests, both of which contain 60 multiple-choice questions and two constructed responses. The first test will assess your knowledge of business management (28 questions); law, ethics, and career development (16 questions); and accounting (16 questions). The second test will cover the content areas of economics, international, business, and personal finance (16 questions); marketing (16 questions); and business communication and information technology (28 questions). Chemistry Exam: The GACE test for Chemistry is made up of two sub-exams, both of which contain 60 multiple-choice questions and two constructed responses. As you do practice questions be mindful that the first test will cover the areas of atomic structure and the properties of matter (36 questions), as well as chemical bonding and energy (24 questions). The second test will assess your knowledge of chemical reactions (36 questions) and characteristics of science (24 questions). Early Childhood Education: This Georgia Assessment for the Certification of Educators is comprised of two sub-exams, both of which contain 60 multiple-choice questions and two constructed responses. The first test will cover the following content areas: reading and English language arts (40 questions), as well as social studies (20 questions). The second test will cover mathematics (25 questions), science (20 questions), and health, physical education, and the arts (15 questions). Economics: Your GACE Economics test consists of two sub-exams, both of which will test your economics knowledge with 60 multiple-choice questions and two constructed response questions. In order to pass the GACE test, you should review the following content areas for the first subtest: economic concepts and skills (20 questions); and microeconomics (20 questions). To pass the second subtest, students will need to demonstrate their knowledge of macroeconomics (20 questions), international economics (10 questions), and personal finance (10 questions). English: The Georgia Professional Standards Commission and Pearson Education, inc. exam consists of two subtests, both of which include 60 multiple-choice questions and two constructed responses. Your GACE study time should reflect the first test deals with comprehension of literary and informational texts (38 questions) as well as reading skills and strategies 22 questions). The second test deals primarily with writing conventions and the writing process (20 questions); writing for various purposes (27 questions); and oral and visual communications (13 questions). Family and Consumer Sciences Education Test: The framework has sub-exams, both of which assess your family and consumer sciences knowledge with 60 multiple-choice questions and two constructed responses. The first of these two tests will cover the content areas of family and interpersonal relationships (16 questions), human development and parenting (11 questions), nutrition and wellness (16 questions), and food planning and preparation (17 questions). The second will test your know-how of consumer economics (16 questions); textiles, merchandising and interiors (16 questions); and career development and business skills (28 questions). GACE practice questions and CBT tutorials should cover all proficiencies tested. Health and Physical Education: This will quiz future health and Phys. Ed. teachers with two subtests. Both GACE tests contain 60 multiple-choice questions and two constructed responses. Make sure your Georgia teaching certification testing guides cover the following exam breakdowns: The first Georgia certification teacher exam will assess your knowledge of personal health and development (22 questions); disease and health-risk prevention (22 questions); and family and social relationships (16 questions). The second test will assess the following content areas: motor learning, motor development, and movement concepts (20 questions); health-related fitness (20 questions); and sports and lifetime activities (20 questions). Health Education: This test design has two subtests, both of which include 60 multiple-choice questions and two constructed responses. The first exam will assess your knowledge of personal health and wellness (36 questions), in addition to disease and drug abuse prevention (24 questions). The second test will cover social relationships and family living (30 questions), as well as community health and safety (30 questions). Be sure your GACE study guides and sample questions cover each critical content knowledge area. History Test: This standardized test for educators is comprised of two sub-exams, both of which contain 60 multiple-choice questions and two constructed responses. To get the most out of your GACE preparation materials remember the history test covers historical concepts and skills (16 questions), world history to 1600 (16 questions), and world history 1500 to the present (22 questions). The second test will focus on national and state history, including U.S. history to 1914 (22 questions), U.S. history 1914 to the present (22 questions), and Georgia history (16 questions). Mathematics: This assessment is two subtests, both of which contain 60 multiple-choice questions and two constructed responses. Be aware in your GACE practice the first mathematics test will cover the following content areas: number concepts and operations (16 questions), algebra (16 questions), and pre-calculus and calculus (22 questions). The second test will cover geometry and measurement (22 questions), data analysis and probability (16 questions), and mathematical processes and perspectives (16 questions). Middle Grades Language Arts: The test design of this examination consists of just one subtest, which will contain 60 multiple-choice questions and two constructed responses. Be prepared for Middle Grades Language Arts with the face is cover the following content areas: reading literature and informational texts (17 questions); reading across the curriculum (13 questions); writing processes, purposes, and conventions (20 questions); and listening, speaking, and viewing (10 questions). Include ample GACE practice exam questions that go in depth for all subtests. GACE Middle Grades Mathematics Test: This single examination is comprised of 60 multiple-choice questions and two constructed responses. This test will assess future middle school math teachers’ knowledge of the following areas: numbers and operations (14 questions); measurement and geometry (14 questions); patterns, algebra, and functions (14 questions); data analysis and probability (9 questions); and mathematical processes and perspectives (9 questions). Middle Grades Reading: This framework consists of just one subtest, which will be comprised of 60 multiple-choice questions and two constructed responses. Middle Grades Science: This exam will test future Georgia middle school science teachers on their knowledge of important scientific concepts. This test contains 60 multiple-choice questions and two constructed responses. Test takers will see the following content areas on this exam: Earth science (15 questions), life science (15 questions), physical science (18 questions), and characteristics of science (12 questions). Middle Grades Social Science: This Georgia educator exam contains just one subtest that will assess test takers’ knowledge of important social science concepts with 60 multiple-choice questions and two constructed responses. The single subtest will cover the following content areas: U.S. history (21 questions), world regions (25 questions), and Georgia studies and social science skills (14 questions). Make sure your GACE test prep books are 100% up to date for the latest version of the exam. Music: This Georgia teacher assessment is comprised of two subcategories, both of which will present test takers with 60 multiple-choice questions and two constructed responses. As you progress in your GACE practice maintain a clear focus by making sure your preparation books cover the following: Aural skills (25 questions), music theory (20 questions), and music creation (15 questions). The second test will assess your knowledge of music history and culture (16 questions), music performance (28 questions), and functions of music and relationships with other disciplines (16 questions). Physics Test: This Georgia assessment for educators has two subtests, both of which assess future Georgia teachers’ knowledge with 30 multiple-choice questions and one constructed response. The first subtest will test your know-how of mechanics (17 questions), as well as waves and thermal energy (13 questions). The second test will quiz you on electricity, magnetism, and atomic physics (20 questions), as well as characteristics of science (10 questions). Political Science: Future government teachers will be assessed by two subtests, both of which contain 60 multiple-choice questions and two constructed responses. The first part of this GACE test for Political Science covers political science concepts and skills (17 questions); foundations of U.S. government (17 questions); and the U.S. federal government (26 questions). The second test will assess your knowledge of state and local government (20 questions), citizenship and democracy (20 questions), and comparative government and international relations (20 questions). Reading Exam: Future teachers who want to lead reading classrooms of their own will need to pass two subtests, both of which contain 60 multiple-choice questions and two constructed responses. Your GACE preparation manuals and practice exams should adequately cover the test make-up as follows: Knowledge of reading assessment (18 questions), foundations of reading development (24 questions), and reading development itself (18 questions). The second test will cover comprehension (18 questions), reading and literature (18 questions), and reading across the curriculum (24 questions). GACE Science: This Georgia teacher certification examination measures future science teachers knowledge with two subtests, both of which are comprised of 60 multiple-choice questions and two constructed responses. The first of the science tests will cover your knowledge of earth science (30 questions) and life science (30 questions), while the second test will determine your physical science (36 questions) and characteristics of science knowledge (24 questions). School Psychology: This exam contains two subtests, both of which will assess future guidance counselors and teachers with 60 multiple-choice questions and two constructed responses. The first of these two School Psychology tests will cover the following content areas: learning, development and diversity (30 questions); and student assessment and data-based decision making (30 questions). The second of these two tests will examine your knowledge of prevention, intervention, collaboration, and program evaluation (30 questions), as well as professional context of school psychology practice (30 questions). Be sure to find a GACE exam study guide that covers each domain of this exam. Technology Education Test: The Technology test will quiz you with two subtests, both of which 60 multiple-choice questions and two constructed responses. The first of the two Technology Education exams will assess your knowledge of the fundamentals of technology (22 questions), manufacturing technology and biotechnology (22 questions), and construction technology (16 questions). The second Technology Education exam will assess communications technology (28 questions), energy and power technology (16 questions), and transportation technology (16 questions). Don’t leave your future Georgia teaching career to chance. If you need even more information about the test design/framework, how to register, exam selection, testing fees, test sites and score reporting, you can visit the official website. Now that you have these Georgia Assessments For The Certification Of Educators breakdowns in hand, you should be well on your way to pass the GACE test and landing a teaching position in a Georgia classroom of your very own! "Why Not Pass The GACE Now And Tell Your Own Success Story?" It a​ctually covers the real GACE! FREE GACE practice questions (just like the exam). By GA licensed teachers who passed. 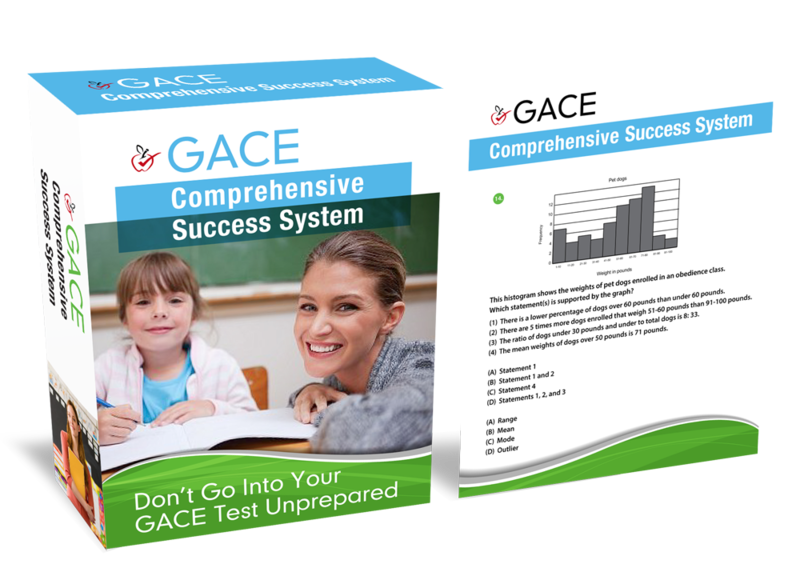 Get FREE GACE Practice Test Now!